A ship with numerous sails is seen in water. Voice 1 from ship: Awaken, ye swabs! We're about to hit land. This is a historic day. 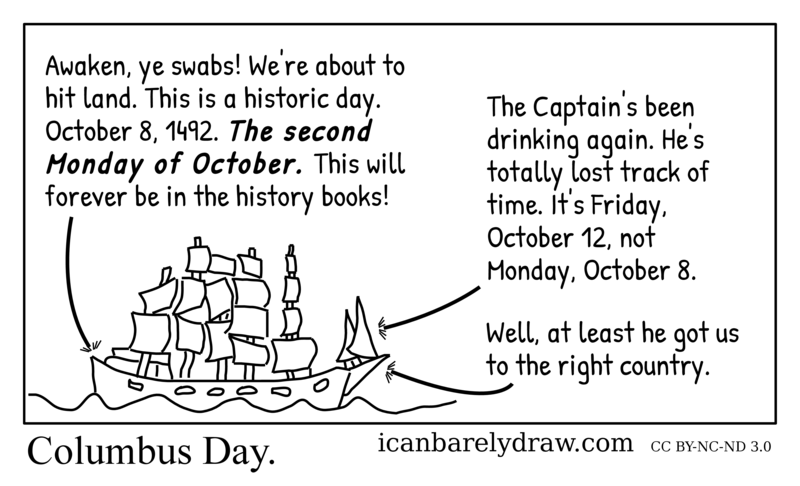 October 8, 1492. 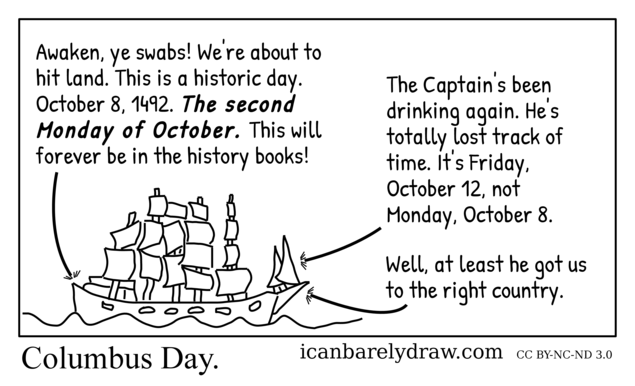 The second Monday of October. This will forever be in the history books! Voice 2 from ship: The Captain's been drinking again. He's totally lost track of time. It's Friday, October 12, not Monday, October 8. Voice 3 from ship: Well, at least he got us to the right country.